Sometimes you don’t think you need a professional moving company that ecoloads can offer, and sometimes you’re right! If your towing a trailer, it’s still very important that you know what you’re doing. Even if you’re only hauling a small amount of items from one location (such as your apartment) to another close by location (such as your new storage unit). Even when not involving a professional mover, certain rules should be followed to ensure the safety of both the items being moved and the driver moving them. In this article we outline how to tow a trailer safely. Firstly, we’re going to talk about a large truck that’s hauling something that needs a hitch. Such as a trailer, small enclosed trailer, or car. Even the most experienced drivers can use a refresher, as it’s not something most drivers do very often, so read on. Are you intimately familiar with your hitch? The piece of metal between your freight and truck is the most important piece of equipment when it comes to hauling. If this simple piece of metal isn’t properly hooked up, you could potentially lose your entire load and cause dire consequences. Knowing this, it’s important to know your hitch very well. What size is it? What class is it, how much weight can it handle, what’s the rating? In some situations, it may be tempting to hook up a trailer to a hitch that is the wrong size. Don’t do this. It can and will backfire in some situations, resulting in huge, avoidable accidents. Losing someone’s cargo, or hurting someone is never worth the risk. Are you below your weight limit? It can be exceedingly tempting to haul something that’s over the weight limit of your hitch, especially when the weight is close. However, a hitch is designed to only haul a certain amount for safety reasons, and you should never haul over that. Simply put, it’s dangerous to push the weight limit. Your truck may suffer as a result, as heavier loads put more stress on the truck’s frame. It takes quite a bit more fuel to actually move the truck. If you need to make two trips, that’s okay; make it happen for your safety. Are your brakes in good shape? Not only should your breaks be in excellent condition and well maintained. But the brake-alert system of your trailer should be in good working condition. While some older trucks don’t have the capability of a wiring system, the vast majority of them do. Those that don’t, you can buy a controller for, which allows manual operation of the lights. This is important for safety reasons and while it can be expensive, it’s a recommended investment (or an upgrade to your truck). Everyone knows you’re hauling a trailer; they’re hard to miss, and often passing cars will be more cautious of you because you are hauling something. This doesn’t mean you get a pass to be inconsiderate of other drivers because you think they’ll get out of your way. Respect them as much as you can and make sure you signal when you intend to move, brake well ahead of time, and don’t tailgate. Sometimes the inertia of the trailer can make it harder to stop, leave plenty of room behind the vehicle in front of you to avoid an accident if you need to brake suddenly. 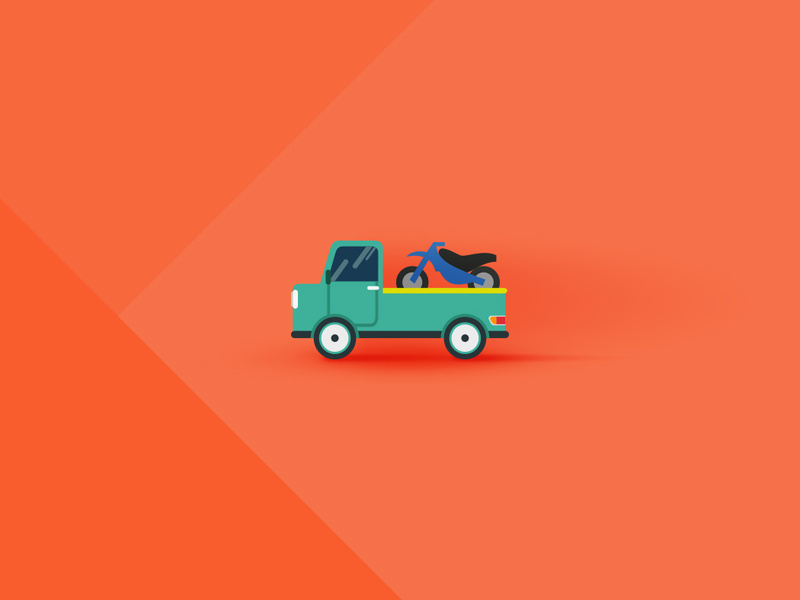 By following these tips, you’ll not only know how to tow your trailer safely. You’ll protect those on the road around you, protect your cargo, and even better, you’ll wind up with happy customers and undamaged deliveries!